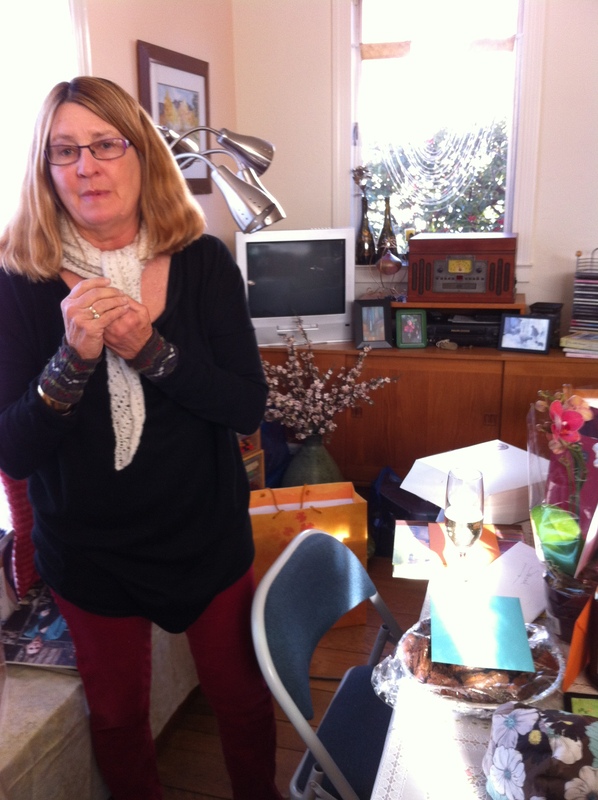 Last week….Jan 30 to be exact…we (the Friday morning knit group aka FMKG) celebrated Sarah’s birthday. I always take photos and somehow I lost the plot on this celebration….so the good news is that Sarah hasn’t “aged” a year when I share a joint birthday celebration from last year. This past Friday’s celebration was lovely…champagne accompanied with strawberries and toasted almonds, gifts, and most importantly – friendship. Yep….we did find some time to knit. I saw that Sarah was working on a project that had a sheep theme. Many of us share a similar love of sheep…the main source of our yarn. Happy Birthday again to Sarah!